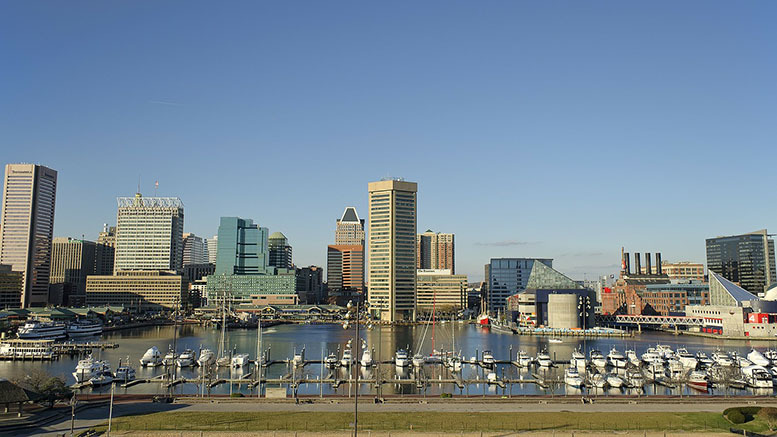 Baltimore is one of the major weekend destinations for students. Photo courtesy of Pixabay user Bruce Emmerling. McDaniel offers a wide range of on-campus activities for students to take part in. These include clubs, student government positions, Greek life, and arts and culture shows/exhibits. Although there are many options to keep students occupied on campus during the week, many students find that during the weekend they have to venture off campus to find something that captures their interest. After interviewing a group of students, one mentioned that she enjoyed short car rides to get a bite to eat with her friends. Another expressed her enjoyment for occasional trips to Baltimore for shopping, food, or sometimes even a concert, but she also pointed out that her “lack of transportation” often limited her weekend plans. McDaniel offers two transportation options for students on the weekends: students have the option of taking a shuttle to a local shopping center, or to Owings Mills Metro center, where they can catch the train to a further destination. Students, especially those who do not have cars on campus, benefit the most from these shuttles. Both of these options give students the freedom to enjoy off-campus activities during the weekend, even if they do not have their own transportation. Although Baltimore is the closest major city to our campus, it’s still a long commute just for some weekend fun. While some students don’t mind the commute and mention cafes and restaurants in downtown Baltimore that they enjoyed visiting to get their favorite foods, others seem satisfied with a trip to Target to stock up on food and other necessities. Some prefer shopping trips at the Towson mall with friends. Despite the fact that there isn’t much commercial shopping in Westminster, it is still very possible to find something captivating to do. Some may prefer staying on campus and watching Netflix during the weekend, but Westminster offers many arts and history exhibits that students can also enjoy. The Carroll County Arts Center hosts a variety of events that range from art showcases to dance performances. The Arts Center allows visitors to experience art exhibits, concerts, and film festivals, as well as many other fine arts performances. The Historical Society of Carroll County hosts programs and events that give insight to the history of Westminster. Not only do they host programs to educate children in the community, they also host museum tours of historical buildings in town. Even if history isn’t your cup of tea, there are other ways to keep yourself occupied on a slow Saturday afternoon. One student mentioned that taking walks around campus with her friends keeps her preoccupied for a while. While there are usually many things to do on campus during the week, many students enjoy the off-campus activities available during the weekend. The transportation provided by McDaniel allows students to take advantage of the shopping and sightseeing away from the campus they see every day.